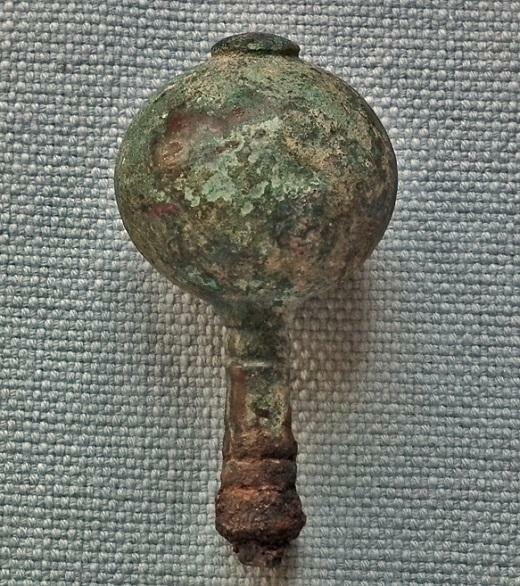 Authentic ancient North - Western Asiatic circa 2nd - early 1st millennium B.C. 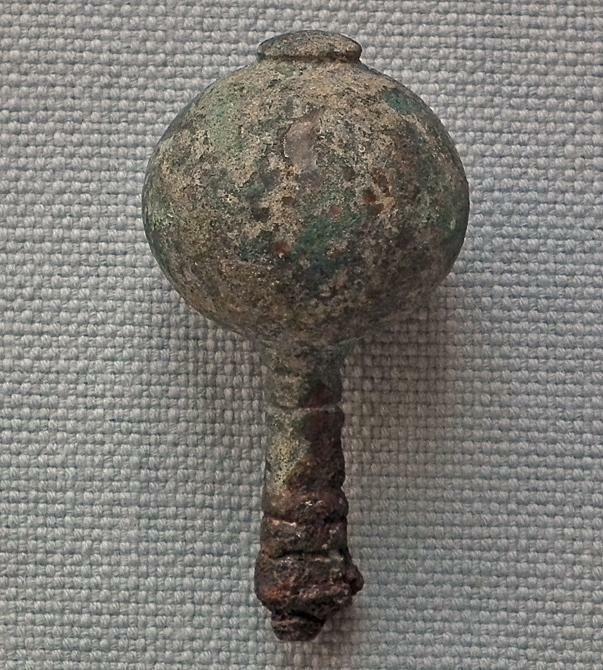 solid bronze mace head of spherical form with bulb-shaped terminal and tapered ribbed socket with remains its iron shaft. 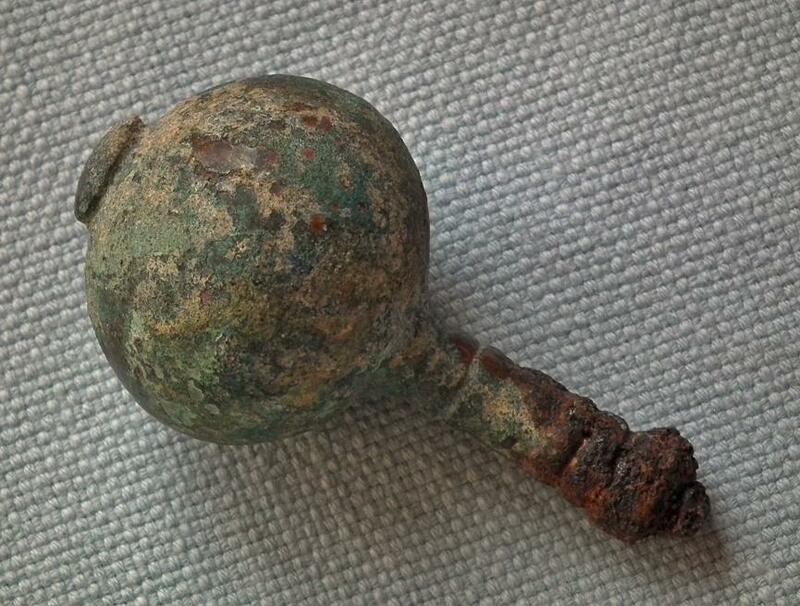 The head is very solid and is quite heavy for its size. 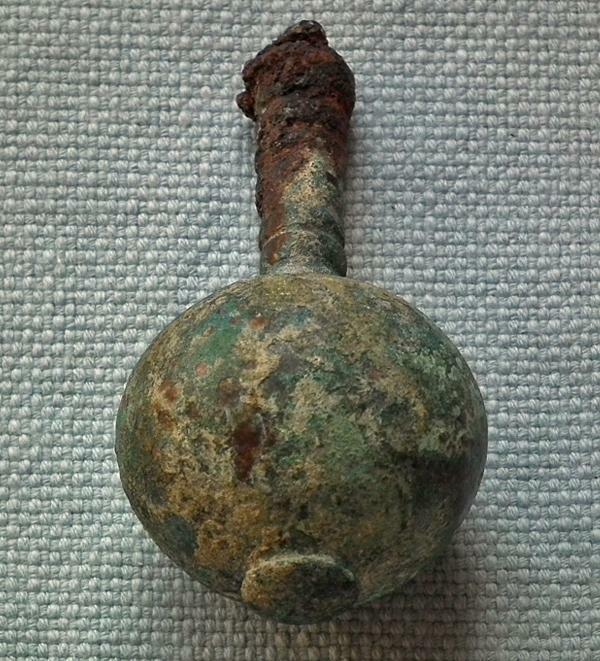 CONDITION: In very good condition considering its age, well preserved with beautiful mottled green-blue patina showing its age and usage. 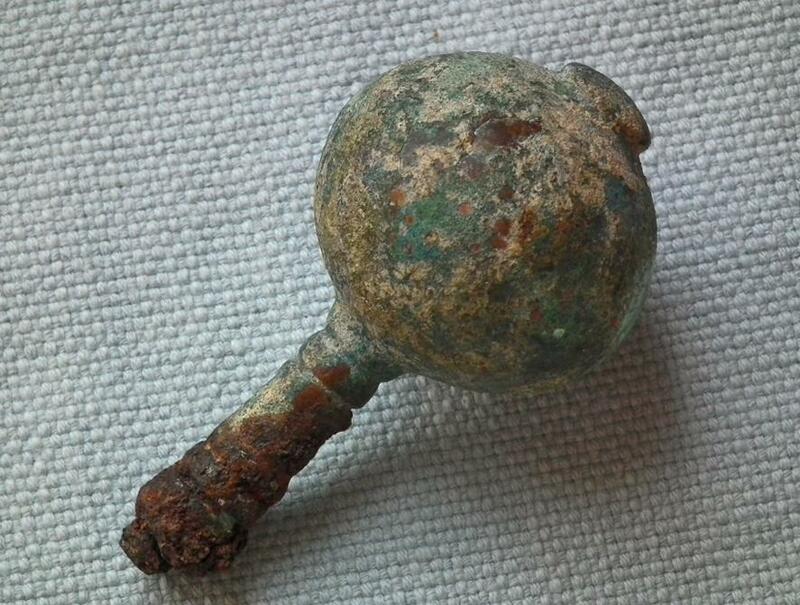 Items Similar To "Ancient Bronze Mace Head North Western Asiatic 2nd-1st millennium..."